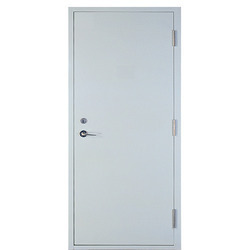 We are engaged in providing wide range of Mild Steel Doors. These doors are fabricated using pristine quality galvanized steel, which is procured from renowned market vendors. Depending upon the specific demands of the patrons, we offer these collapsible doors in customized designs, sizes, patterns and color coatings. We welcome queries for Storage Tanks & Fabrication Services from South India region including Andhra Pradesh, Karnataka, Kerala and Tamil Nadu & cities like Bangalore, Chennai and Hyderabad. Our company is well known in the market for the manufacture and supply of a wide range of Mild Steel Doors which have a very sturdy make and they have been made using the best technology available in the market and they are rust proof in their make. These products have been priced at very reasonable rates in the market and they are exported to the customers all over the globe and they are available in a range of designs, sizes, colours and thicknesses. 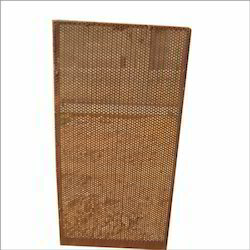 We are counted as an enhanced manufacturer, exporter and supplier of excellent quality MS Perforated Sheet Cover all across the globe. Our sheet cover is fabricated using the finest quality raw material by means of advanced technology and equipment. This assortment is well appreciated among our regular clientele due to its impressive attributes like high durability, accurate dimensions, unique designs and longer service life, etc. The offered sheet cover can be availed at very feasible prices by our esteemed clients. Looking for Mild Steel Doors ?